Although it looks funny in action, the ejector seat has saved thousands of lives since its invention in the middle of the 20th century. Supersonic Seats. An ejector seat is designed to catapult the pilot and crew out of a plane in an emergency, inflate a parachute once the seat is clear of the aircraft, and bring them safely to land. Before ejector seats were invented there were parachutes but the crew would have to try and jump clear of the aircraft first, which can be a bit tricky when a plane’s plummeting to earth at hundreds of kilometres per hour. The Second World War created an obvious need for this invention. The first ejector seat was pioneered by the German company Heinkel in 1940, and the Swedish company SAAB developed its own ejector seat independently the following year. Both used compressed air to shoot the seats out of the aircraft. In 1942 one of the German test pilots became the first person to escape from a plane using an ejector seat in an emergency. After the war, some planes became so fast that it was impossible to escape from them using just a parachute. After the early compressed-air ejector seats, explosive charges were used to power the seats. And from the 1960s, rocket-powered ejector seats were made for use at supersonic speeds. A few pilots have ejected at speeds over 1,300 km/h! By the seat of your pants: Ejector seats save thousands of lives but they are designed for use in dire emergencies only. The seats shoot out of the plane with such force that they can cause serious, sometimes career-ending injuries. In fewer than seventy years the history of aviation went from nothing to putting a man on the Moon. Take a look at the types of aviation below: which have you flown in or seen? Hopefully you’ll never have to use the ejector seat in any of these! Out of all the aircraft it is possible to travel in, you’ll probably have travelled most in a jumbo jet. How many flights in a jumbo jet have you made? Have you ever flown in this type of flying vehicle? After a jumbo jet, the vehicles in this group are the easiest to hitch a ride in. It’s doubtful that you’ll ever get to fly in any of the following aircraft, but have you seen them in action? If you wanted to listen to music before the 1870s, your only option was to go to a public performance or listen to friends, family or worse still yourself playing or singing. People must have suffered centuries of bad music in this way. The famous inventor Thomas Edison invented the phonograph in 1877, which made the first ever sound recordings on foil cylinders. Edison didn’t foresee a future where people listened to the best music in the world using his invention, he thought it would be used as a dictation machine in offices, which is much less entertaining. Edison’s foil cylinders were soon replaced by wax ones, and only ten years after his invention the cylinders were replaced by flat discs, invented by Emil Berliner in 1887. These discs were much easier to mass produce than cylinders. 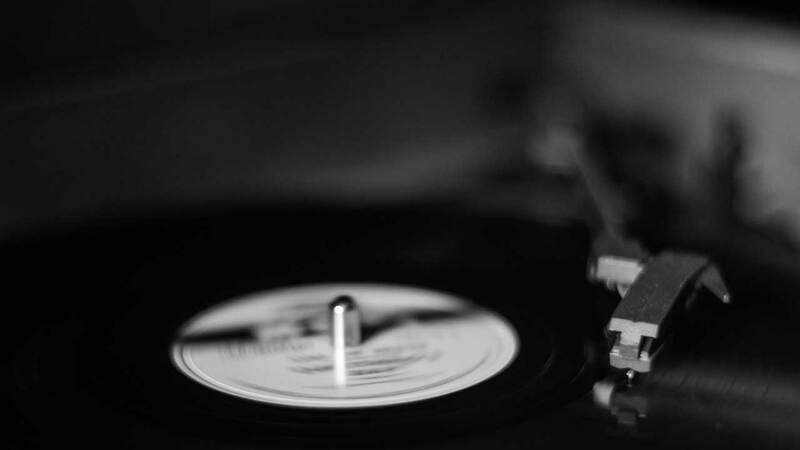 At first they were made from a brittle substance containing shellac, a substance made from beetle poo, but by 1930 the first vinyl plastic discs were sold, which were much more difficult to break and less horrible to think about. The first flat discs were initially used in toys, but by the mid1890s Berliner had set up a gramophone company which sold the discs and the gramophones to play them on. These plastic discs, known as records, continued to be used until the 1980s, when everyone began to buy CDs instead. They’re still used by DJs and very old-fashioned people. Riffle through your parents’ record collection and pick out records you don’t think you’ve heard before and review each of the records in turn, making a note of your thoughts. How have they stood the test of time? Listen with an open mind! Far fewer people die from infections now than fifty years ago. One of the main reasons is an amazing discovery. Old Mould. Antibiotics are used as a medicine to fight bacteria, you might have taken them if you’ve had an infection. Today we use antibiotics that are manufactured in labs, but they were originally discovered as natural substances. Penicillin was the first to be discovered, quite by accident. Alexander Fleming was a doctor with a messy lab. He’d been growing bacteria in Petri dishes and left a pile of them waiting to be cleaned. Fleming noticed that one of them had mould growing on it that seemed to have killed the bacteria in the dish, and decided to examine it more closely. The mould was penicillium and Fleming managed to isolate the bacteria-killing chemicals it produced, which are now known as penicillins. Fleming made his discovery in the I 920s but no one took much notice of it until the Second World War, when chemists Howard Florey and Ernst Chain carried on his work and came up with a purified form of penicillin. The medicine began to be mass produced for the first time, and went on to save millions of lives. Fleming, Florey and Chain shared the Nobel Prize for Medicine in 1945. Today, penicillin-based antibiotics are still the safest and most commonly prescribed. Think back to the last time you felt really ill. Was it an infection of some kind? Did you have to take antibiotics? Did you see a doctor? What medicines (if any) did you have to take? Alexander Fleming had noticed that bacteria developed resistance to antibiotics if the medicine wasn’t taken for long enough or in too low a dose. Just four years after drug companies began mass producing penicillin, microbes began appearing that could resist it. Once people had worked out where everything is, which wasn’t easy, the world started getting smaller and smaller. Mapping the World. The first maps ever made were of the night sky, the Lascaux cave paintings (in modern-day France) show the positions of stars, and date from over 18,000 years ago. The oldest known land map dates from more than 4,000 years ago in ancient Mesopotamia (modern-day Iraq) —the clay tablet map shows a river valley. The ancient Greeks knew that the world was a sphere and were good map-makers. Ancient Greek Anaximader, who lived around 600 BC, was the first Greek to draw a map of the world, but it hasn’t survived. Around AD 150 Greek astronomer Ptolemy drew a world map, showing the Mediterranean and parts of Africa and Asia. His map uses lines of latitude and longitude. In Europe, medieval maps were more symbolic than useful, showing Jerusalem as the center of the world for religious reasons. The Age of Exploration, in the 1400s and 1500s, produced more and more accurate maps. In 1569 Gerard Mercator solved the problem of showing the spherical Earth on a two-dimensional map using clever calculations. We still use the term ‘Mercator projection’ today. Aerial photography in the 20th century made map-making more accurate than ever before. Touchy-feely maps: Maps weren’t always drawn on paper – 300 years ago the people of Greenland were carving maps out of wood. People used these 3-D maps to navigate the coast by touching them rather than looking at them. With computer mapping programs you can find aerial photographs taken by satellites of almost anywhere in the world. And the best thing is, with just a few clicks of a button and a little help from everyone’s favorite toy, the internet, you can look at these amazing images for free! See if you can find an aerial view of your house. Print it out and pin it up. If you can’t find your house, pick a place you wish you could be in. Have you ever thought about barcodes? Probably not, but they’re absolutely everywhere, on just about everything you can buy. Before they were invented, someone had the thrilling job of sticking prices on everything, and an awful lot of counting went on in shops. Barcodes contain information, including price, that’s readable by a scanning machine. They were invented by technology students Bernard Silver and Norman Woodland in 1949, although the system they came up with, using ink that glowed under ultraviolet light, wasn’t the one we use today. First a working system had to be developed and a universal standard set. The barcode system we use was demonstrated for the first time by IBM in 1973. The following year the first ever purchase using a barcode was made, but barcode technology didn’t become common until the 1980s. Now it’s everywhere. As well as reading the price, barcode scanners can give information about how quickly things sell and can even re-order new stock. It won’t be long until barcodes are out of date and we’re all remembering what a wearisome process shopping was before the invention of RFIDs. Radio frequency identification tags will soon mean that you can go shopping without having to queue up and pay at all. RFIDs, or smart labels, will be able to communicate with an electronic reader in your shopping trolley and send information to the shop, the manufacturer and your bank account. Historic gum: The first ever barcode purchase was of a 10-pack of Wrigley’s Juicy Fruit chewing gum at a supermarket in Troy, Ohio. The chewy is now on display at the Smithsonian Institute’s National Museum of American History in Washington DC. Make your own personal barcode. The chances of anyone having the same barcode as you are incredibly remote as we are all different in so many ways. Imagine the world without computers. You’d have no internet to help you with your homework, and just think of all that post, photocopying and filing. The first computer was invented in 1834, long before TV, telephones and even electricity. The inventor, Charles Babbage, called his computer the Difference Engine. It was essentially a calculator and since there was no electricity, it was mechanical. And very complicated. In fact he never quite managed to finish it. Babbage spent a further 37 years designing the Analytical Engine, a pre-cursor to the first working general-purpose computers. Computers really got going in the 20th century: Konrad Zuse’s Z3 was the first programmable computer, invented in 1941. The Colossus computer was the first completely electronic computer. It was used to crack German codes during the Second World War. Microprocessors, programmable components measuring just a few millimeters, were invented by Intel employee Ted Hoff in 1971. Just one of them was as powerful as the huge 30-tonne computers of the 1940s. By the 1980s computers were small and cheap enough for individuals to buy and use at home. And today, computers are everywhere and most modern electronic devices, from washing machines to cars, contain one. Finished Engine: Although Charles Babbage never completed the Difference Engine himself, the Science Museum in London did manage to build one in 1991, to mark the 200th anniversary of Babbage’s birth. And it worked! Computers have taken over almost all aspects of our lives, from schoolwork and homework to keeping in touch with your friends. But not so long ago computers didn’t even exist. Can you live without using one for at least a week? Sign the declaration and see if you have the will power to give it up. I DECLARE: BY SIGNING THIS FORM I AGREE TO LIVE ONE WHOLE WEEK WITHOUT USING A COMPUTER AT ALL. HOWEVER TEMPTED I MAY BE, I VOW NOT TO TOUCH ONE. If you’ve had a new passport recently you’ll have spent hours in photo booths trying to take a photo that meets complicated requirements and, at the same time, captures your unique beauty. But how long have passports been around? In fact passports have been a requirement in most parts of the world for less than a hundred years. They existed before that but only for a few people in particular circumstances. Imagine, for example, that you’re a courtier of Elizabeth I sent on an errand to Italy. You will probably be given a letter signed by the Queen that tells people who you are and asks that you are well treated while you’re abroad, a passport. Tradespeople were sometimes given passports, allowing them to pass in and out of particular towns and cities. But most people didn’t need passports until the First World War and could travel where they liked without them. Of course, not many people did a lot of travelling abroad in those days. During the First World War, governments became very keen on identifying anyone passing in and out of their country, for obvious reasons, and made passports compulsory for everyone crossing the border in either direction. After the war, this rule remained. In 1920 the League of Nations agreed standards for passports for all its member countries, and most passports today are based on those standards: they identify the passport holder, ask for protection while abroad and give the holder the right to return. Biometrics: If your passport was issued recently, it probably contains biometric information about you, for example, your fingerprints, distances between facial features, or the iris or retina in your eye. This information is stored in an electronic chip to improve security. Have you ever had your passport stamped? Passport stamps keep a colorful record of the countries you’ve visited – although, these days, if you’re a citizen of the European Union you won’t get stamped when you visit other EU countries. Most of us take this useful invention for granted now, but it would have been helpful if the tin-opener had been invented at the same time as the tin. Canned food was invented by Peter Durand in 1810, and the first tinned food was produced in 1812. Unfortunately, no one had come up with a device for opening the tins. It was just as well that the first tins of food were used by the military, at least they had weapons handy for opening them. Instructions on the tins helpfully suggested using a hammer and chisel. Tinned food went on sale to the public around 1830. For the next 25 years, people struggled with saws, chisels and other tools. Then, in 1855, Robert Yeates invented a sort of penknife including a special blade that could be used to open tins. Three years later, Ezra Warner of Connecticut, USA, patented a tin-opener shaped like a bent bayonet, but it was too dangerous for domestic use! In 1870 William Lyman invented a tin-opener with a cutting wheel. It was a bit tricky to use, though, you had to try and make a hole in the centre of the can with one blade, then adjust the device to make the wheel cut around the edge. Improvements to Lyman’s design were made in the 1920s and resulted in the modern rotary tin-openers still in use today. Electric tin-openers became available in the 1960s. The latest in tin-opening technology are devices that open tins without leaving sharp edges. The first food tins were very heavy – some weighed half a kilo when empty. Durand’s earliest cans were made of iron lined with tin and their sides were up to 5 mm thick. Tin-openers only came along when cans began to be made of thinner metal. Recycling has become part of everyday life and hopefully, one day, everything will be recyclable! For the time being, most of us can recycle our tin cans, food waste, glass and plastic to help reduce emissions, save energy and cut production costs. Recycle your waste! Every little helps. Recycling just ONE aluminium can saves enough energy to power a television for around three hours! It only takes TWO HOURS for the UK population to produce enough waste to entirely fill the Royal Albert Hall! If we recycled at the aluminium cans of drink the people of the UK buy every year, we’d need 14 million FEWER dustbins collected! On average, each person in the UK throws away the equivalent to their own body weight in rubbish every seven weeks. Another thing you can do with empty cans is to make a tin-can telephone. All you need is two empty tin cans, a long piece of string, a parent with a hammer and a nail, and someone to talk too! When the string is pulled tight between the cans and you caused by your speech cause the string to vibrate. Those begin to speak, the vibrations vibrations travel to your friend’s. Now, speak into your can and your friend should be holding the other can to their ear. Recycling old aluminium is 95% MORE energy efficient than making brand-new aluminium. Did you know that the energy saved from recycling ONE glass bottle will power a 100-watt light bulb for an hour? BUT if you swap the 100-watt for a 60-watt bulb then that same bottle will power the 60-watt bulb for SIX hours instead! Creating new glass contributes 20% more to air pollution and 50% more to water pollution than recycling old glass. Before mirrors were invented you could always look at your lovely reflection by gazing into a still pool of water. But plucking your eyebrows must have been very tricky. Through the Looking Glass. Humans seem to be obsessed with looking at their reflection, we’re the only animal that does it as part of a daily routine, though chimps seem to enjoy it too. The earliest mirrors ever found were discovered in modern-day Turkey. They are made from obsidian, a volcanic glass that’s naturally reflective, and are more than 7,000 years old. Since then, people have made mirrors out of polished stones, metal and crystal. A glass hand-mirror was an ancient Roman fashion accessory. According to the Roman historian Pliny, the first glass mirrors were invented about 400 BC in Sidon in the Middle East. They were made by applying a very thin layer of gold, silver or copper to a sheet of glass. During the 19th century, processes were developed that enabled the glass surface to be coated with metal. Modern mirrors use a thin layer of aluminum on glass. As well as the important purpose of admiring ourselves, mirrors also come in very handy for telescopes, microscopes and periscopes, seeing what’s going on behind you when you’re driving a car, and laughing at very fat and very skinny versions of yourself at fairgrounds. Mirrors as weapons: Legend has it that the ancient mathematician and inventor Archimedes used large mirrors of polished bronze or copper to concentrate the Sun’s rays and set fire to enemy ships. The word ‘kaleidoscope’ comes from the greek words ‘beautiful’, ‘form’ and ‘view’. If you make a kaleidoscope, you’ll see why these words are so apt! Instead of using make-up, special diets, strange remedies and cosmetic surgery, think how much simpler it would be if oldsters could just take a pill. Most of us would rather live for a lot longer than we’re likely to, although the idea of living a long time but getting ever more decrepit is less appealing. As we get older, cells in our bodies become damaged and we are more likely to suffer health problems. Eventually, of course, we suffer the biggest health problem of them all: death. Despite wild claims, none of the products available to buy today is capable of slowing down the aging process. Scientists all over the world are busy looking for something that really works. Researchers at the University of California at Berkeley have rejuvenated aging rats by giving them two chemicals that affect their mitochondria —structures inside cells that are responsible for producing energy. Different research, also in California, has shown that restricting calories can make flies, worms and mice live longer. Instead of putting everyone on a very strict diet though, scientists are trying to mimic the effect using genetics. But, for the time being, there’s no miracle pill to stop people from aging. Maybe we just need to change our attitude to old age, it would certainly be an awful lot easier. Botulism is a dangerous type of food poisoning caused by the bacterium Clostridium botulinum. Doctors began using the bacterium to treat eye disorders and noticed it could paralyze muscles. Now people have it injected into their faces to smooth wrinkles! The elixir of life has been searched for time and time again over the centuries, and although thousands of potions and lotions have been created, nothing has been able to stop the aging process. Some of the potions created in ancient China included liquid metals, such as mercury and gold! Far from preventing aging, the metals had the opposite effect, and the poisonous elements in them accelerated death, whoops! Over the last century, the life expectancy of the UK population has leapt to 76.6 years for a male and Si years for a female. In 1911 there were only 100 centenarians. Now there are over 9,000! The reason we are all living longer is due to many factors, but can mainly be put down to improvements in healthcare, nutrition and sanitation. And undoubtedly things will continue to improve and advance in these areas. In fact, it is estimated that by 2031 the UK will have almost 40,000 centenarians! Every now and again you’ll hear about a new type of super food in the news. A super food is believed to have greater health benefits than other foods. You’ll be pleased to hear that chocolate is classed as a super food BUT, as always, there’s a catch. The benefits of chocolate are actually within the cocoa content of the bar. You’ll need to choose a dark chocolate bar with the highest cocoa content to reap the benefits, and even then, you can only consume the chocolate in SMALL quantities! Take a look at the list of super foods below. Are there any you haven’t had before? If so, make a point of trying them all to find out which ones you like best, and persuade your family to incorporate them into their daily diet – you can all stay young together! Have you ever felt like jumping out of a plane? Plenty of people have, but thankfully most of them did it after the invention of the parachute. In fact parachutes were invented long before aeroplanes. In 852 in Moorish Spain, Armen Firman jumped from a tall tower using a cloak on a wooden frame and lived to tell the tale. Leonardo da Vinci designed a parachute in the 1480s, though he didn’t try it out. Croatian inventor Faust Vran’de jumped using a similar design in 1617. These early parachutes didn’t catch on because there weren’t any flying machines around to make them really useful. In 1783, around the same time as the first hot-air balloon, Sebastien Lenormand invented a parachute, which he demonstrated by jumping from a tree, but it was only four meters high. A few years later, having refined his design, he successfully jumped from a tower. In 1785 Jean Pierre Blanchard used a dog to test his parachute design. The dog was fine, and so was Blanchard when he used the parachute in 1793 to escape a balloon accident. Up until then, parachute designs used a wooden frame. In 1797 Andre Jacques Garnerin jumped from a balloon over 900 m high using a frameless parachute much more like the modern-day kind, made of folded silk. Since then parachutes have saved thousands of lives. Some strange people even use them to jump out of planes for fun. The minimum age for doing a parachute jump is 16 in the UK (and then you still need written parental consent), so for the time being you’ll just have to simulate a parachute jump by making your own parachute instead. Robert Cocking was the first person to die in a parachute accident when the parachute he had designed himself failed to open in 1837. His fatal mistake was in forgetting to include the parachute’s weight in his calculations. Is lipsliding or kickflipping your idea of a good time? If so, you must be glad someone invented the skateboard. Skateboards first appeared in California in the 1950s. No one’s quite sure exactly when, or who first came up with the idea. Surfing (in the sea) was popular in the 1950s, so skateboarding became known as ‘sidewalk surfing’. The first skateboards were home-made and might have evolved from ‘crate scooters’, you can probably guess what they were. By the end of the 1950s skateboards were being manufactured and the sport became more and more popular. For some reason, no one was very interested in skateboarding in the late 1960s but by the 1970s everyone was at it. New materials for wheels and boards improved performance and new moves were invented. Ramp skating developed after a California drought left swimming pools empty of water. In 1976 Alan Gelfand invented the ‘aerial ollie’, lifting the board into the air by smacking the tail of the board on to the edge of a ramp with one foot and lifting up the front with the other. More tricks were invented: now you can master the ollie kickflip, frontside and backside airs, and various types of grinds, including nose grinds, lipslides and 50-50 grinds. Skateboarding was banned in Norway between 1978 and 1989 because the Norwegian government believed the sport was too dangerous. Now there are skateboarding bans in particular areas all over the world, but there’s no complete nationwide ban anywhere. How are your skateboarding skills? Can you stay on a board for more than ten seconds? Can you do an ollie, tailside or a nosemanual? Do you even know what any of that means? Lasers are useful for all sorts of things, including spectacular light shows, no wonder there was a huge argument over who invented them. Lasers produce a constant stream of photons (units of light) in a single frequency, which means the light can be controlled and used in different ways. Albert Einstein came up with the theory behind lasers in 1916, but it wasn’t put into practice for nearly 30 years. In 1954 a group of scientists invented the ‘maser’ (microwave amplification by stimulated emission of radiation). The maser used microwaves. Research began into using light instead and the first device that produced laser light (light amplification by stimulated emission of radiation) was a ruby crystal, built in 1960 by physicist Theodore Harold Maiman, based on research by Charles Townes (who’d helped invent the maser) and Arthur Schawlow. Gordon Gould had also been researching laser technology and claimed to have invented the laser three years before Maiman’s device. A big legal battle began, which Gould lost at first, but in 1977 he was granted several patents for his laser design. Still, Townes and Schawlow were awarded the Nobel Prize, which must have cheered them up a bit. Today, lasers read CDs and DVDs, cut metal, take measurements, make holograms and are used in surgery. Laser technology is being developed for use in warfare. The US and Israeli military Tactical High Energy Laser has shot down targets in tests. They’re not hand-held, Star Trek-style devices, though, more like tanks for shooting down incoming missiles. Silk is everyone’s favorite luxury fabric, and has been for over 5,000 years, thanks to a humble moth. No one really knows how or when silk was invented. The story goes that Lei Zu, an empress of China around 6,000 years ago, accidentally dropped the cocoon of a silkworm into her cup of tea. She saw that the cocoon quickly turned into long, smooth strands and decided to try spinning the strands into thread, as you would. If you don’t believe the legend, you’ll have to guess how on earth someone found out that a particular moth’s caterpillar, which eats only the leaves of the mulberry tree, makes a cocoon that produces fine fibers, and that these can be loosened in hot water and spun into silk. Someone in China had worked it out by around 3000 BC. The Chinese kept the strange secret of silk-making for centuries, though silk was being exported from China by around 1000 BC. The ancient Romans paid high prices for silk, which they thought grew on trees. In the 1st century BC, the Chinese silk trade followed an established route, the silk road, all the way from China to the Mediterranean, with a second silk road going south to India. Around 200 BC, the silk secret was out: people found out about it in Korea and gradually the secret spread to the rest of the world. When it was first invented, the Chinese Emperor and his family were the only ones allowed to wear silk. Similarly, the Roman Emperor Tiberius tried to ban it, but it was just too popular. Silk was so valuable that for a while it was used as currency in China. Although silkworms aren’t actually worms, we shouldn’t overlook how important the lowly worm is, in spite of looking completely useless. In the past, people’s mouths could be rather unpleasant places, not least because of what they put in them to try to keep them clean! The ancient Egyptians used a tooth powder containing ash, egg shells and pumice stone. Worse still, ancient Roman toothpaste and mouthwash contained Portuguese urine, which they believed was the strongest kind. We still use ammonia (the whitening agent in pee) in toothpaste, but you’ll be glad to hear that it’s made in a laboratory. Since then all kinds of ingredients have been used. One recipe from the 1800s contained burnt bread, and it was common for brick or china dust to be found in toothpaste in those days too. A dentist called Peabody was probably the first to add soap to toothpowder in 1824, and Glycerine was also added around this time to turn the powders into paste. Toothpaste was sold in jars until 1892 when Dr Sheffield’s Creme Dentrice became available in a tube. Dr Sheffield went on to set up Colgate. The earliest toothbrushes were sticks chewed at one end – some have been found in China from 5,000 years ago. The earliest evidence of toothbrushes like those we use today is from 1498, also from China. The bristles were made from hog hair. Toothbrushes arrived in Europe in the 1600s but weren’t commonly used until the 1900s. The first nylon toothbrush was invented in 1938, but it was very hard. People didn’t bother brushing much until the 1950s, when better toothbrushes had been developed. You have probably had one full set of teeth – your 20 baby (or primary) teeth – and are now kilted out with your permanent teeth. By the time you reach 21, the average amount of teeth you’ll have is 32, which means in your lifetime you’ll have had an average of 52 teeth! Ancient cures for toothache you wouldn’t want to try include strapping a toad to the jaw, picking bones out of wolf poo and wearing them, rubbing the ashes of burnt animal heads into the gums and washing the teeth in tortoise’s blood three times a year. Can You Make a Wish on a Banana? Why Do Some People Cross Their Fingers To Make a Wish Come True? Why Do People Throw Coins Into Fountains and Make a Wish and Where Did the Superstition Come From?